Four common ingredients. Familiar taste. Simple preparation. It's the beautiful presentation that amps it all up. Way up. 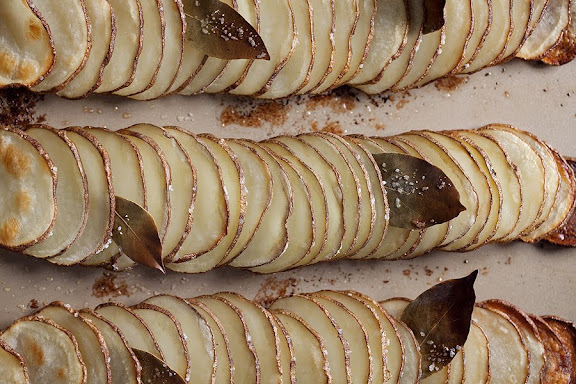 Visit The Meaning of Pie to learn how to make these simple roasted layer potatoes.